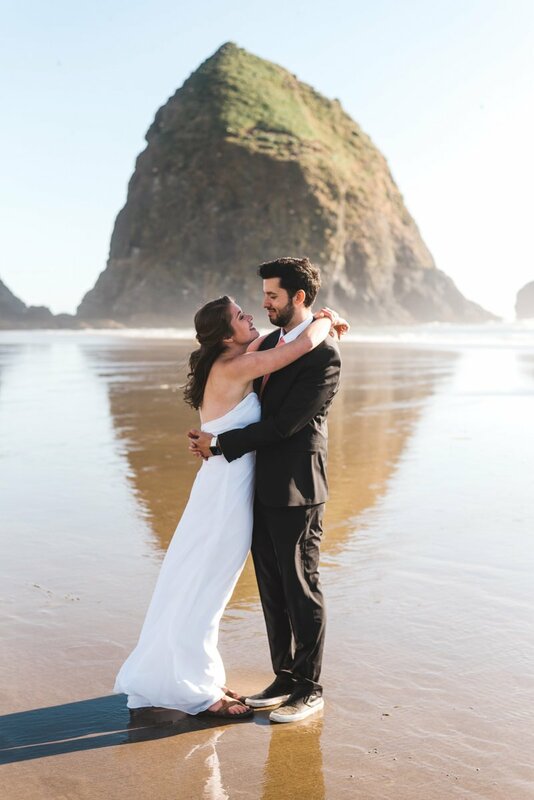 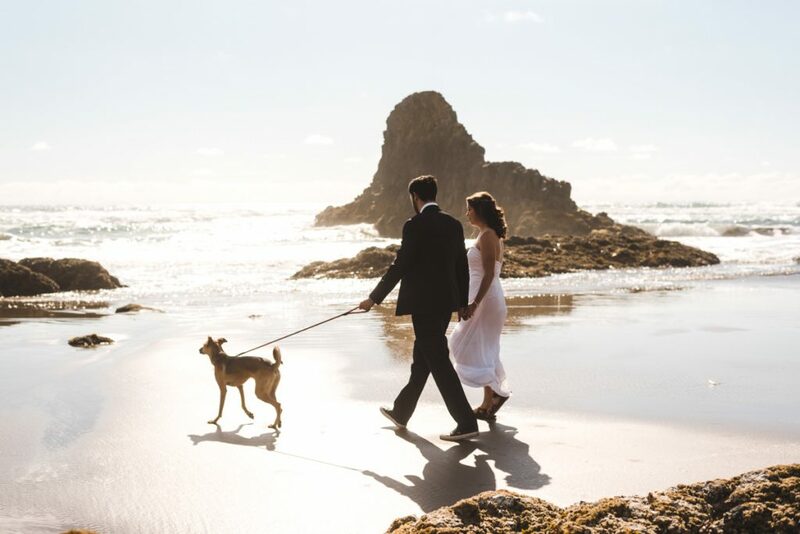 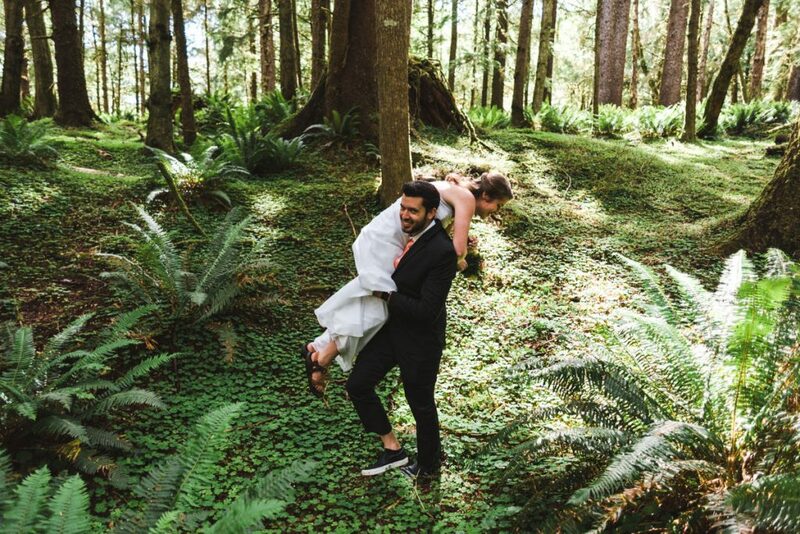 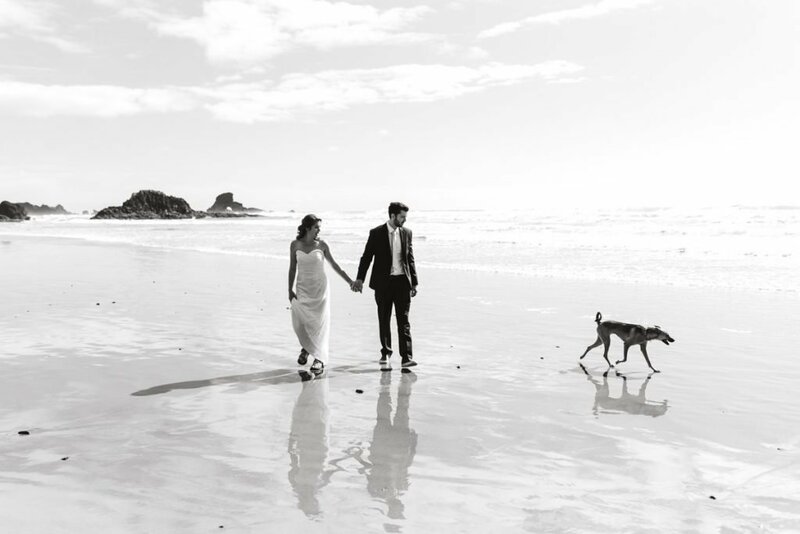 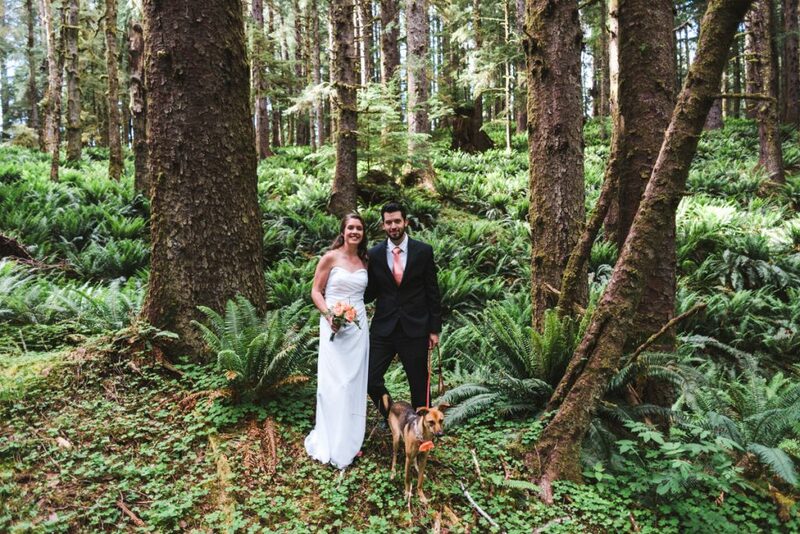 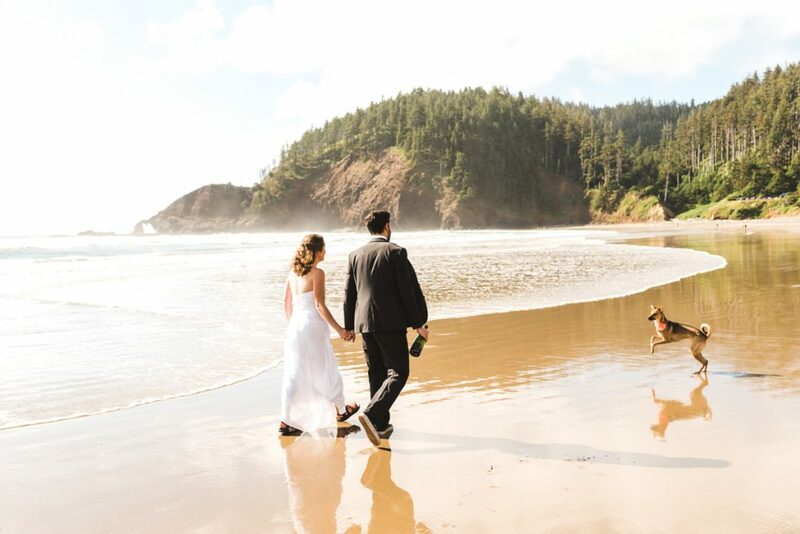 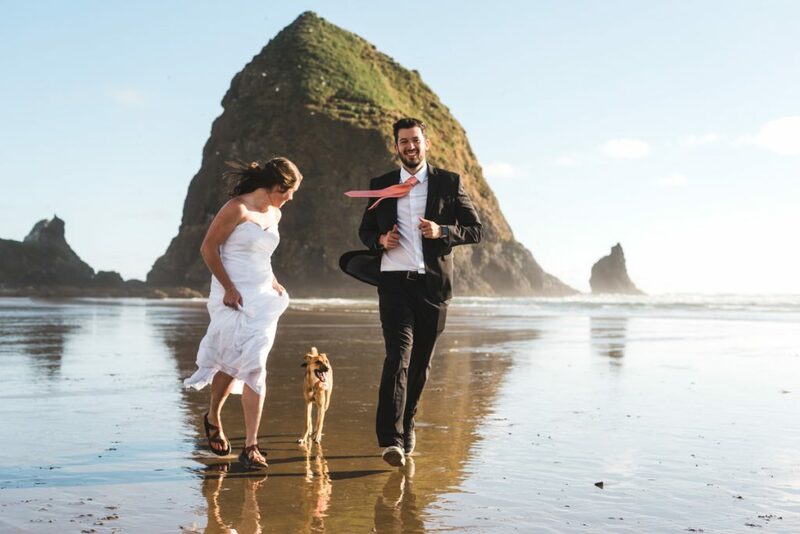 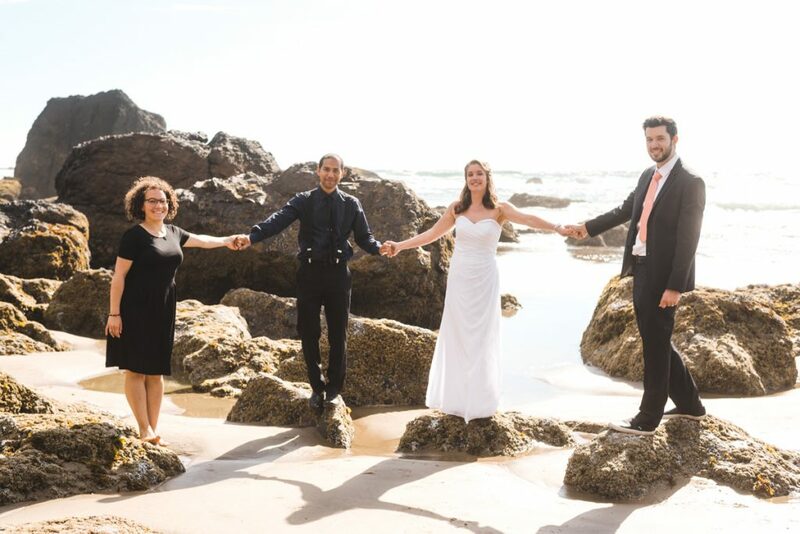 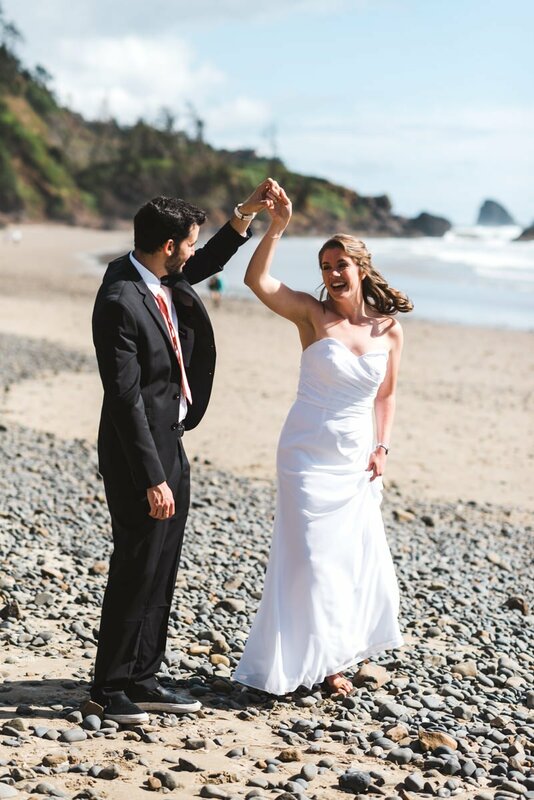 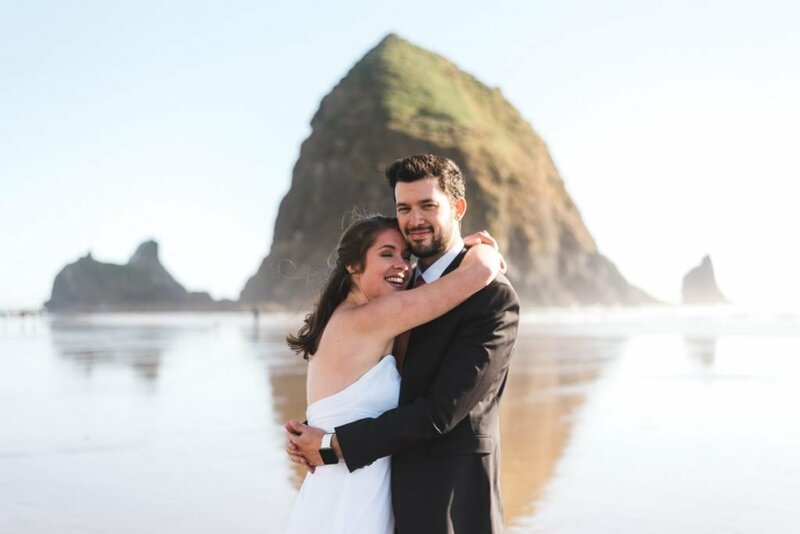 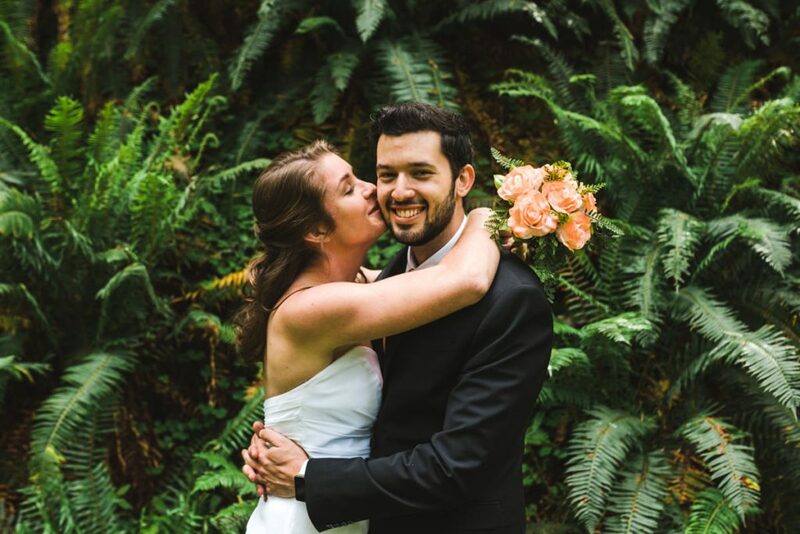 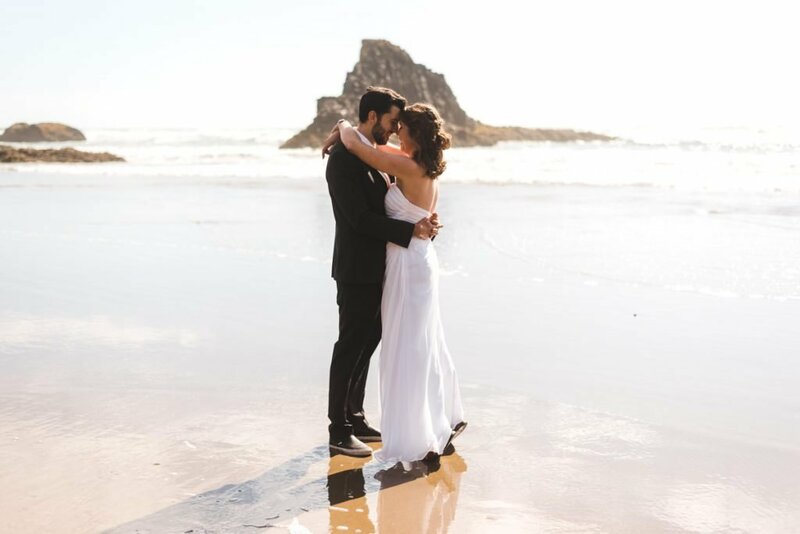 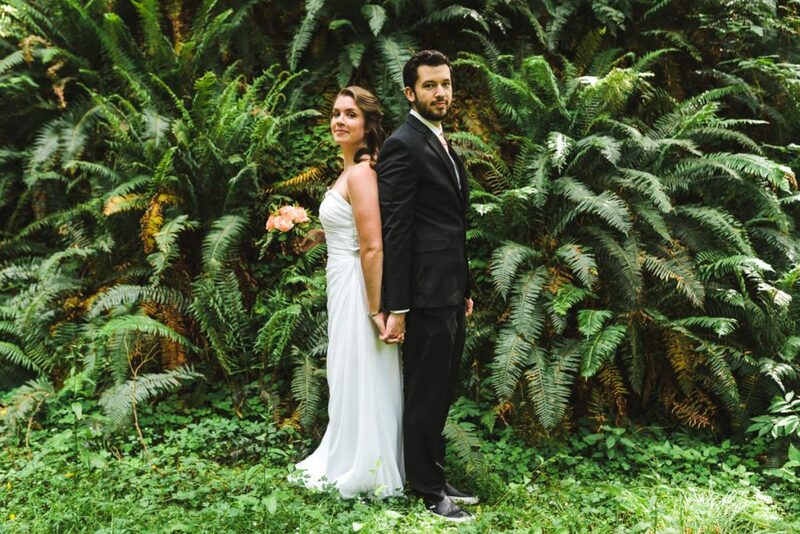 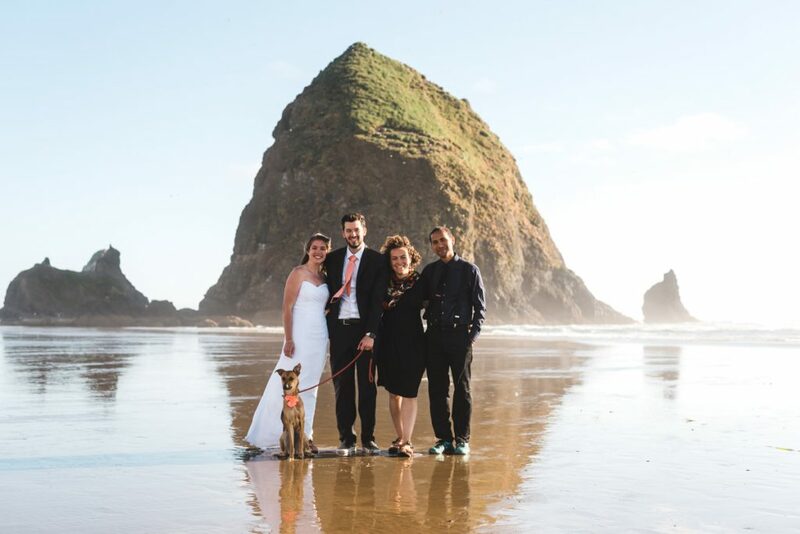 This Cannon Beach Oregon Elopement was a gem. 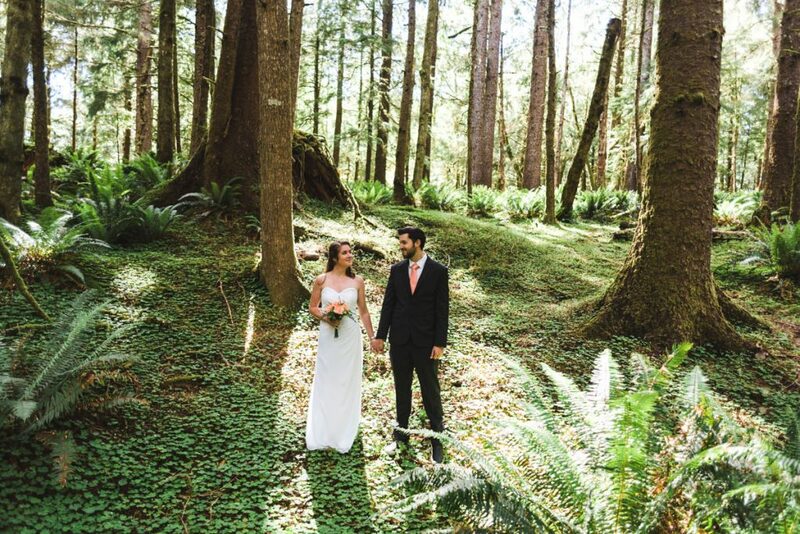 I love the simplicity of these weddings. 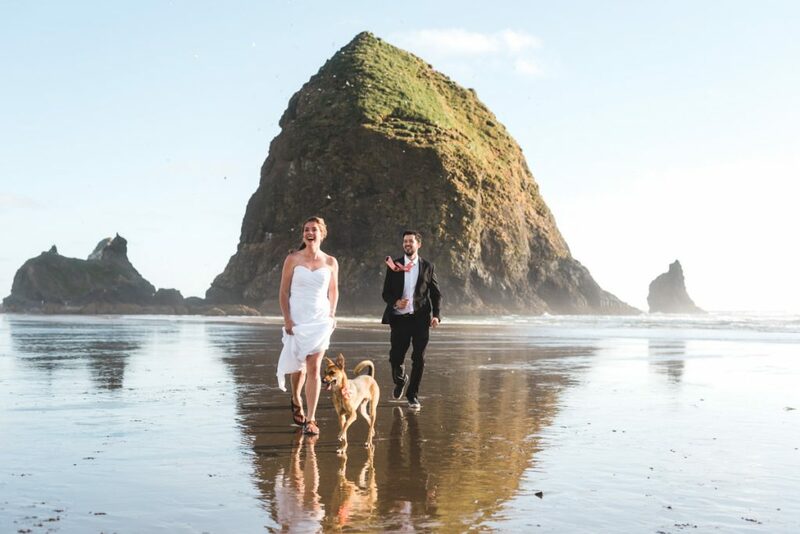 These two drove up from California in their Tesla to spend the weekend enjoying Cannon Beach and Ecola State Park with their sweet puppy they adopted from Taiwan. 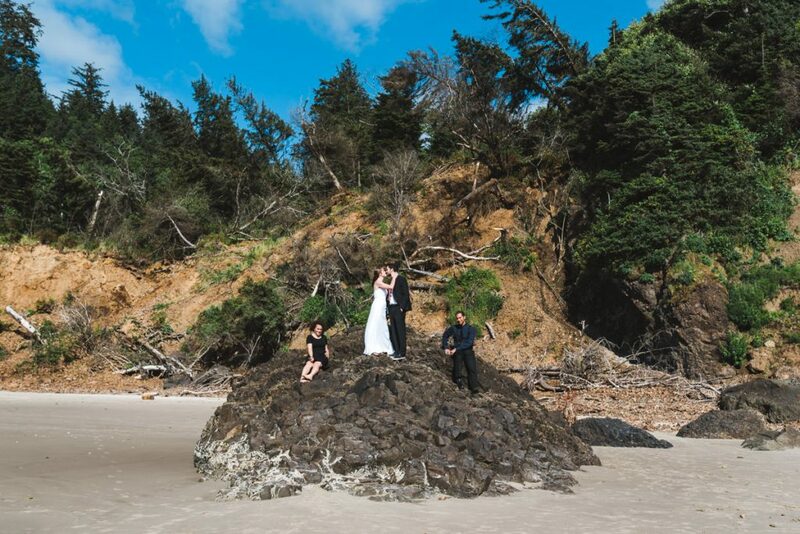 We met in Ecola State Park at one of my favorite little spots that’s the epitome of Fern Gully(throwback movie reference). 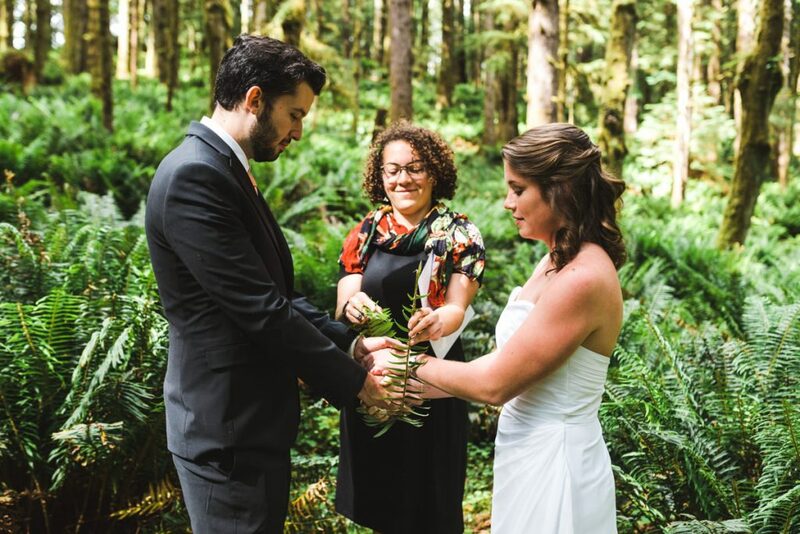 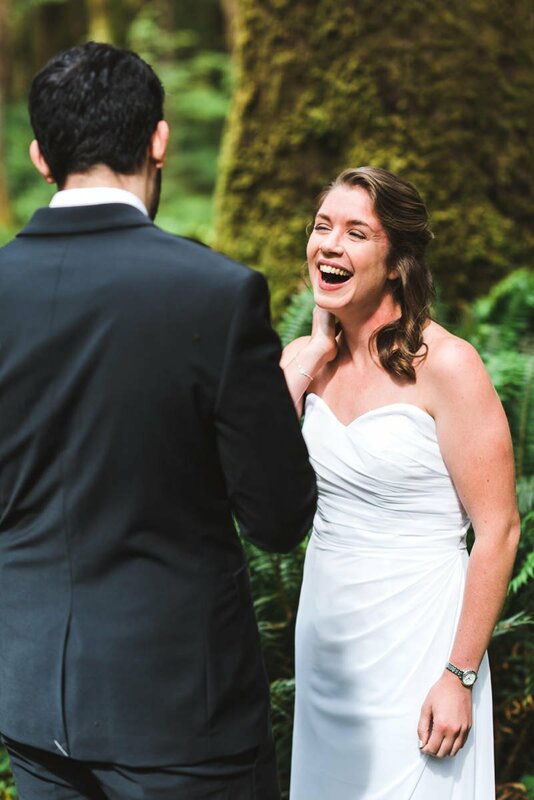 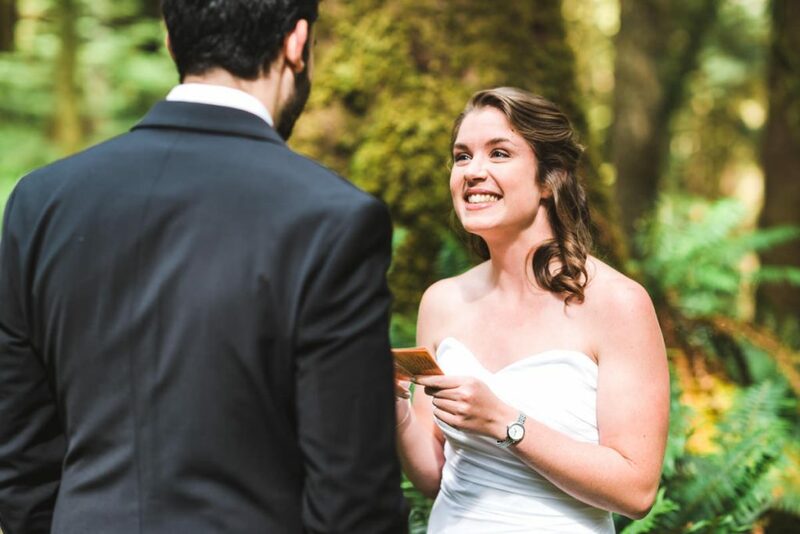 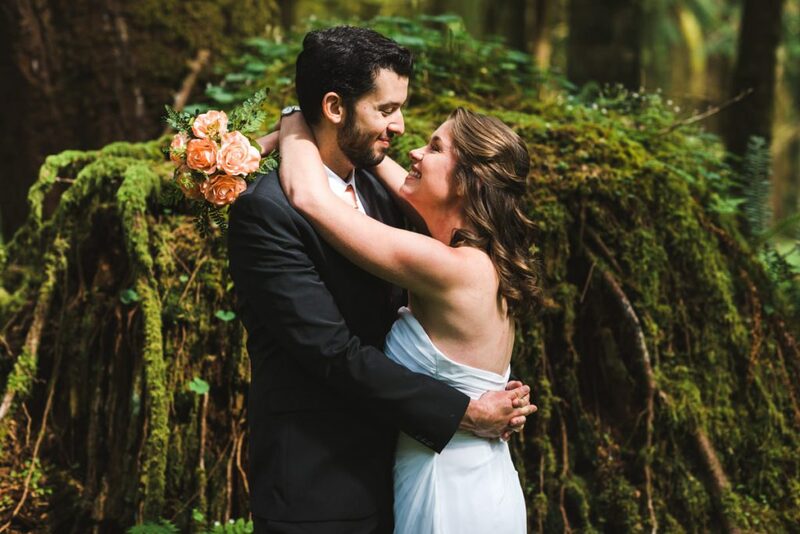 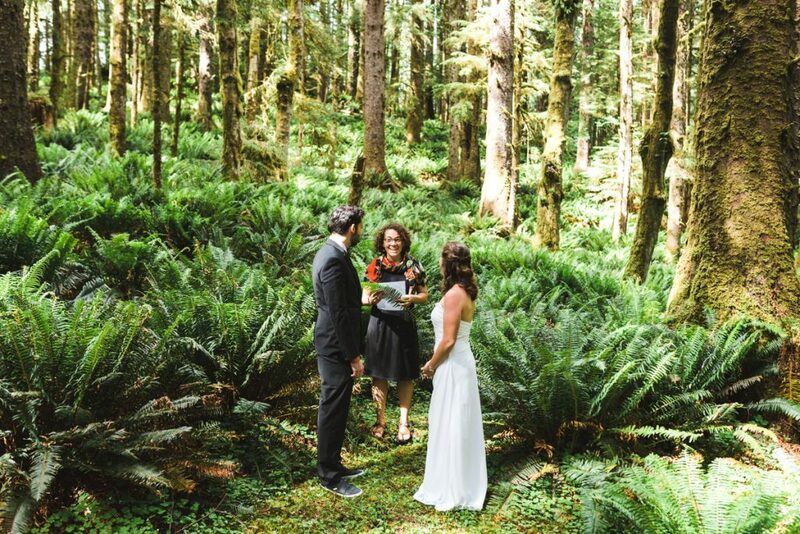 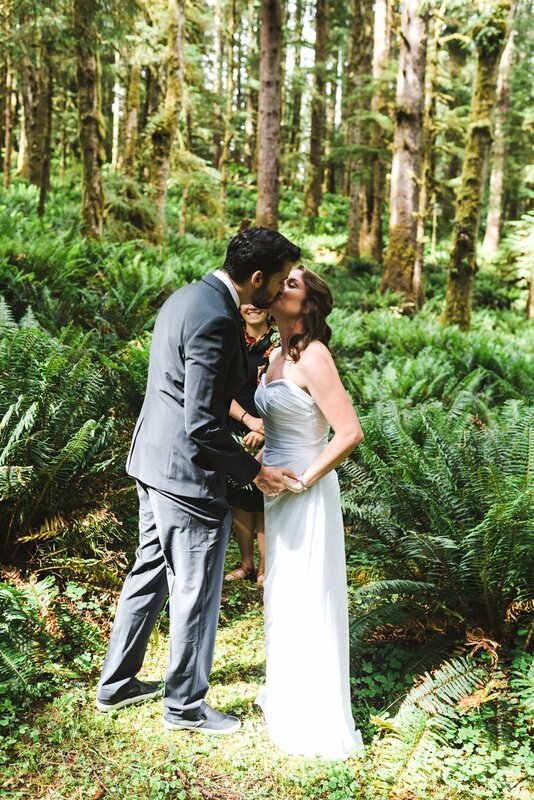 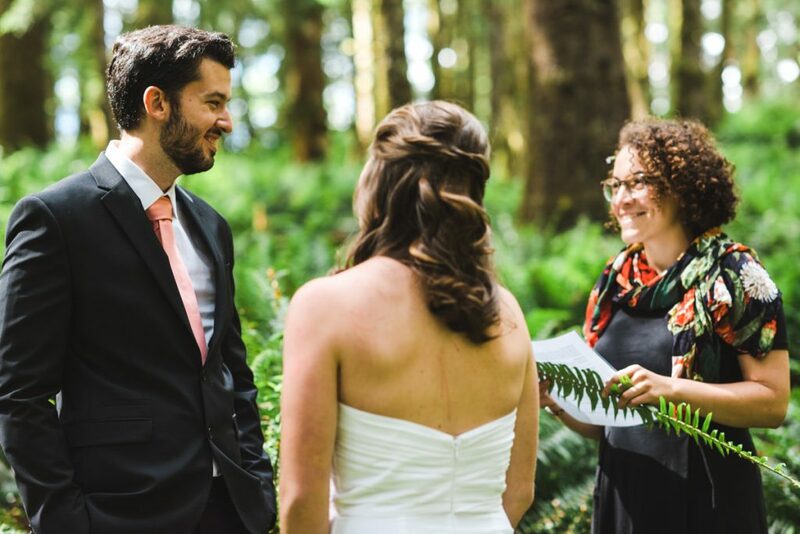 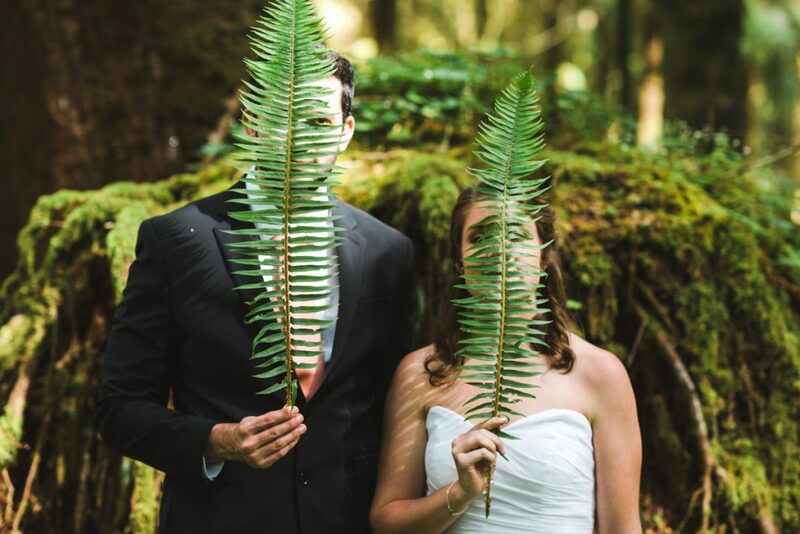 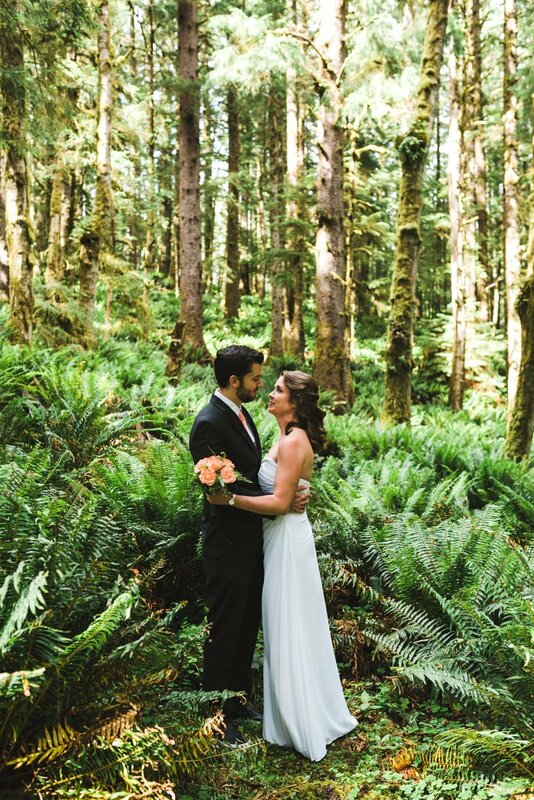 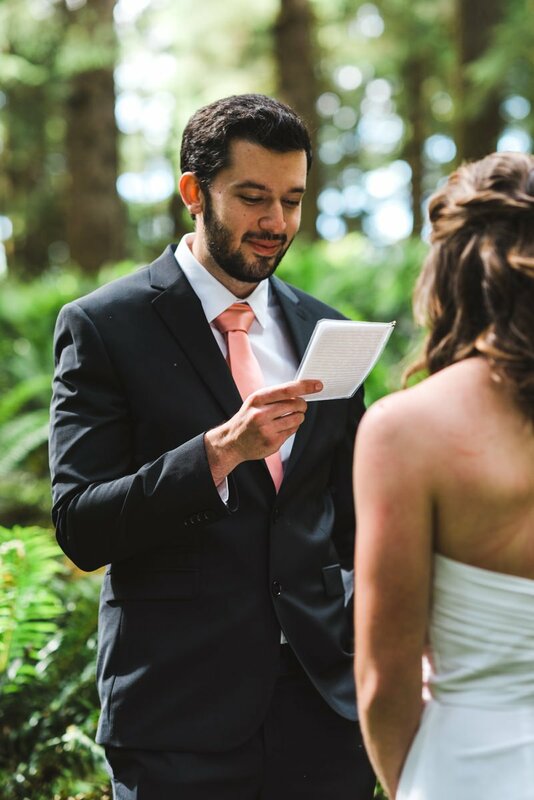 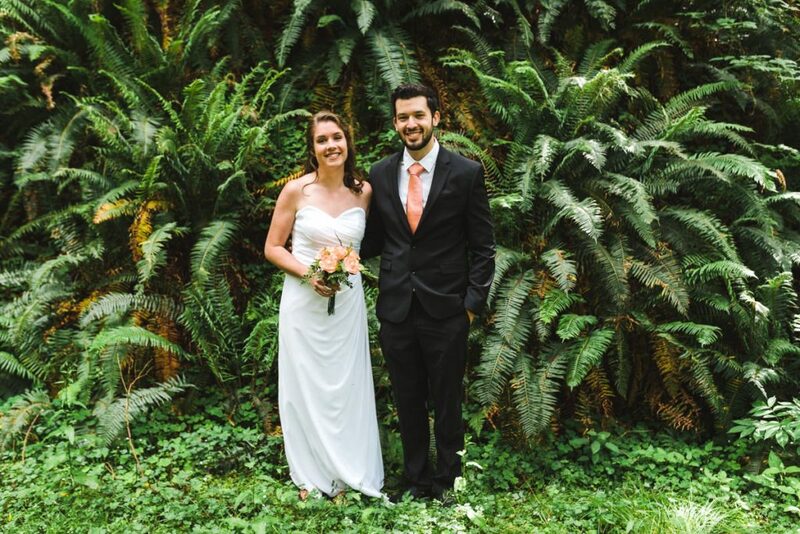 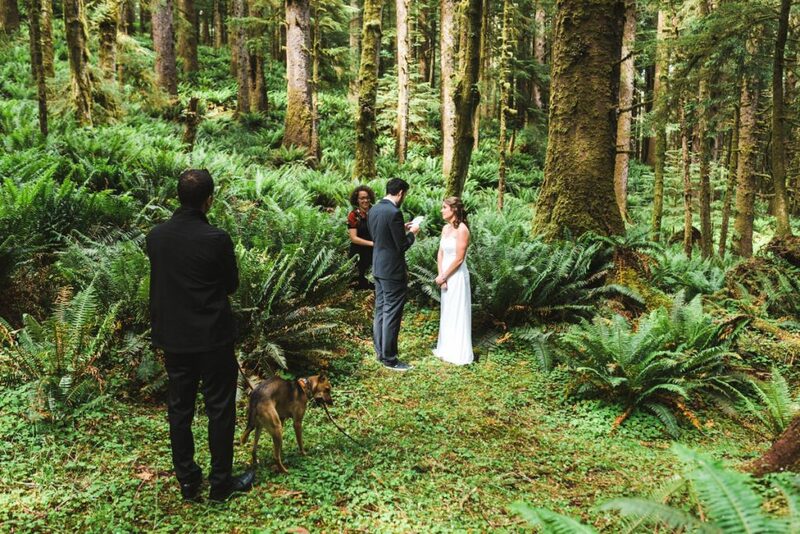 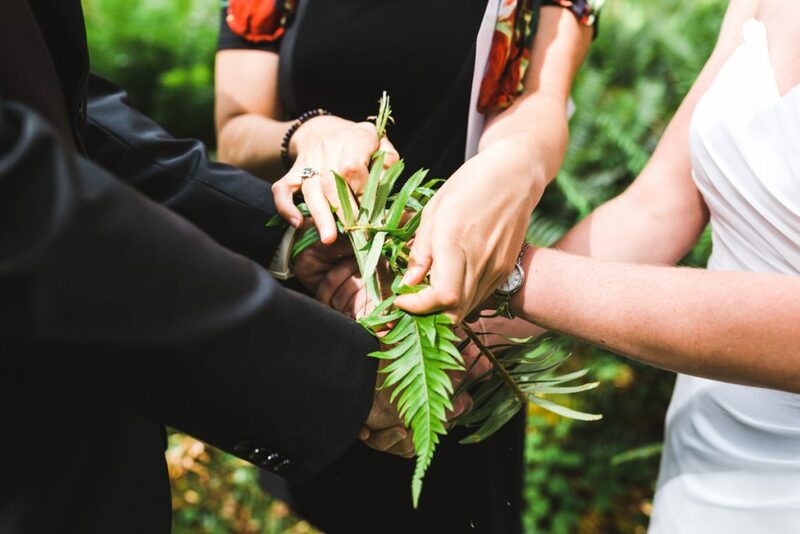 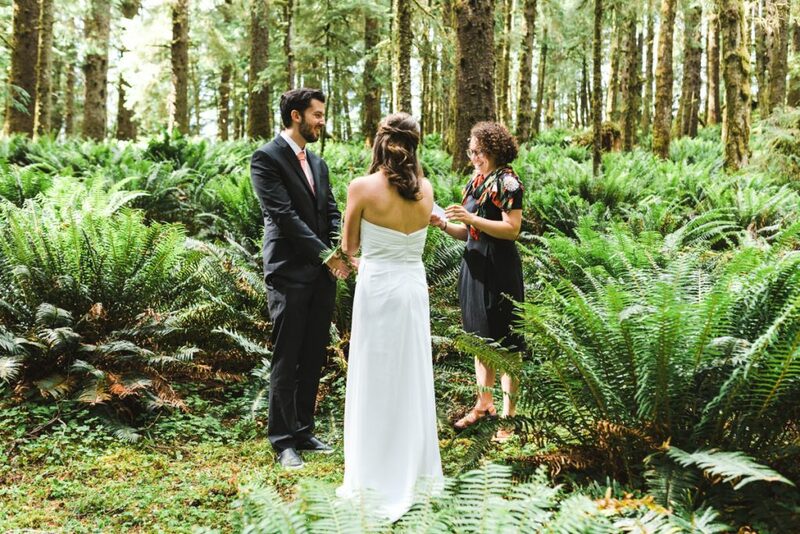 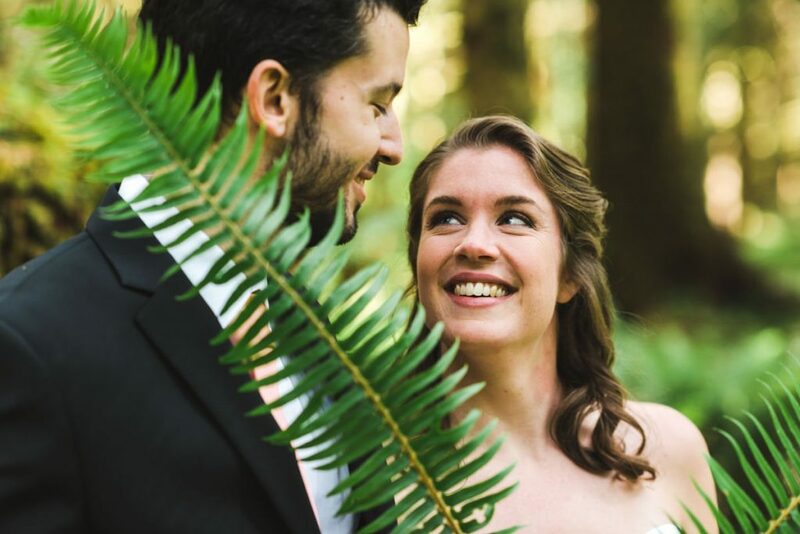 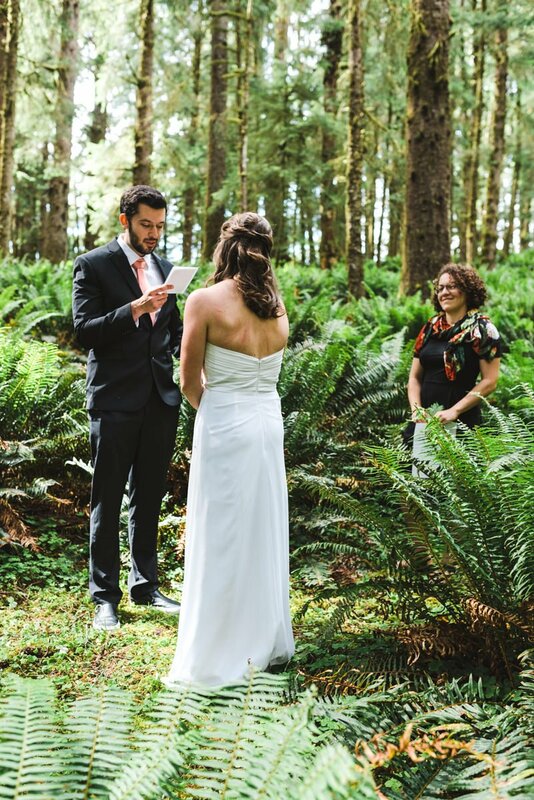 They let me decide the ceremony location and I couldn’t resist not using all these ferns and the lush greenery that is so common here in the Northwest. 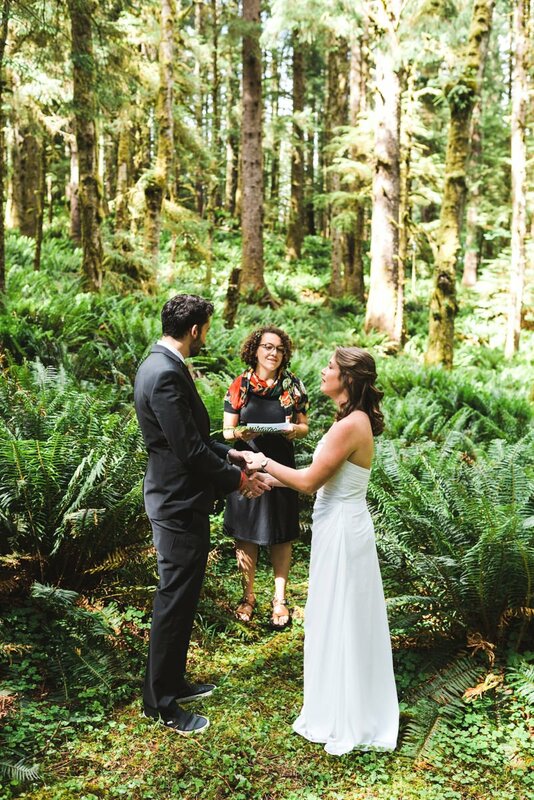 We met and a dirt road and parked the cars near the ceremony site. 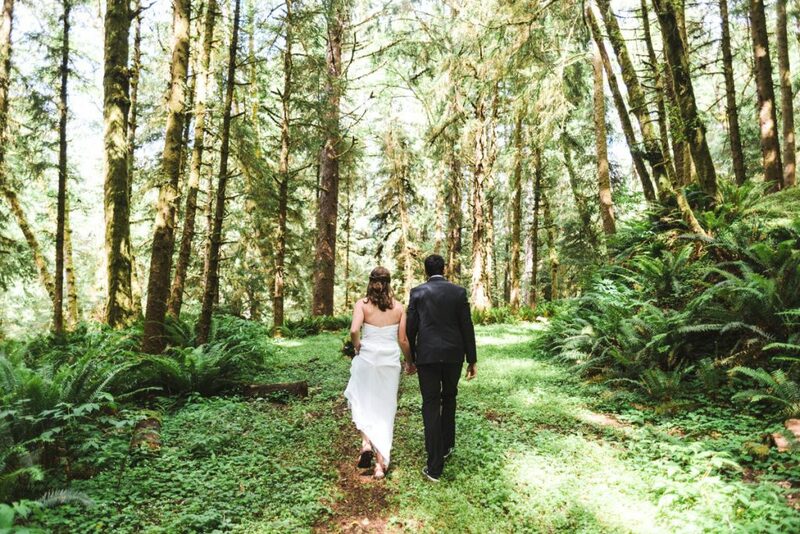 It’s a super short walk to this beautiful location. 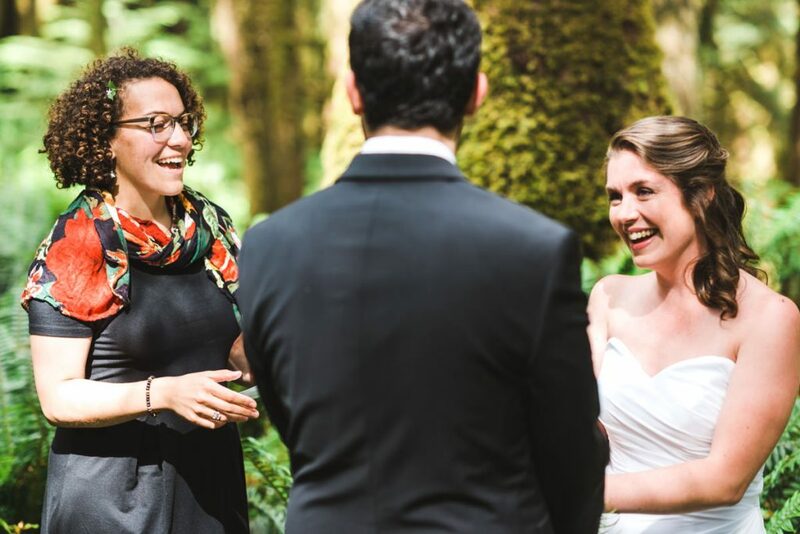 Their friends from Seattle drove down to officiate and witness the wedding and met us in the parking area. 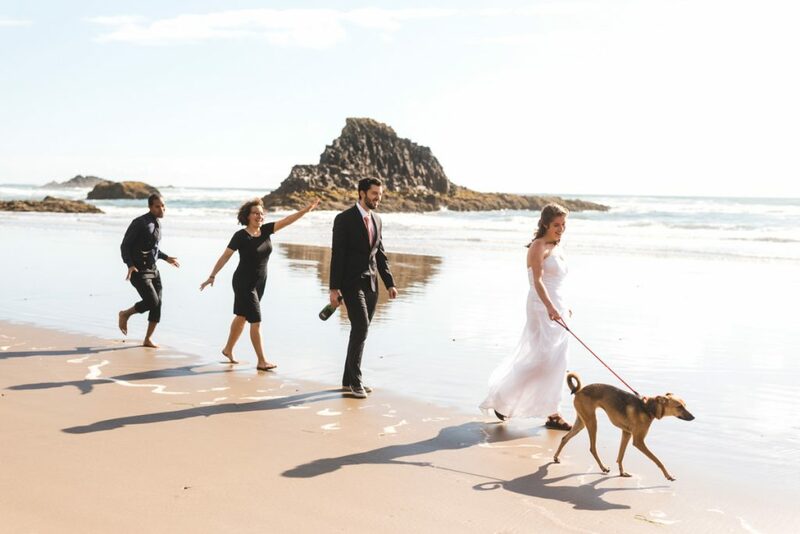 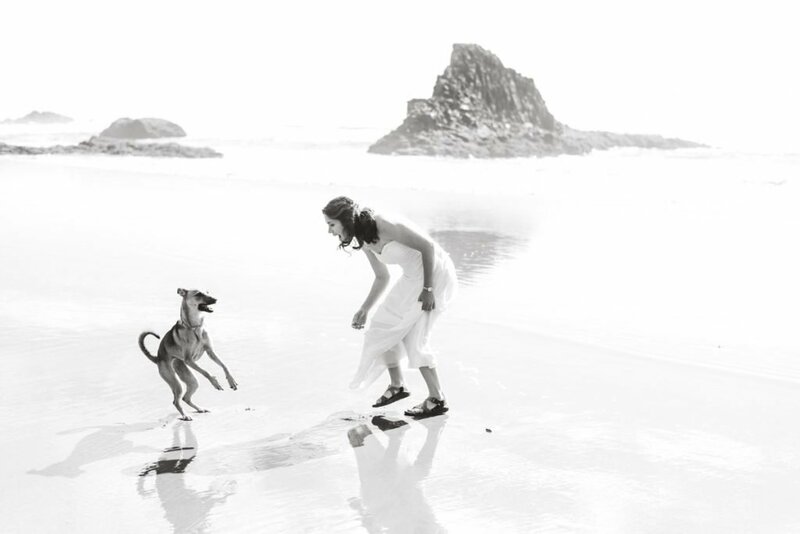 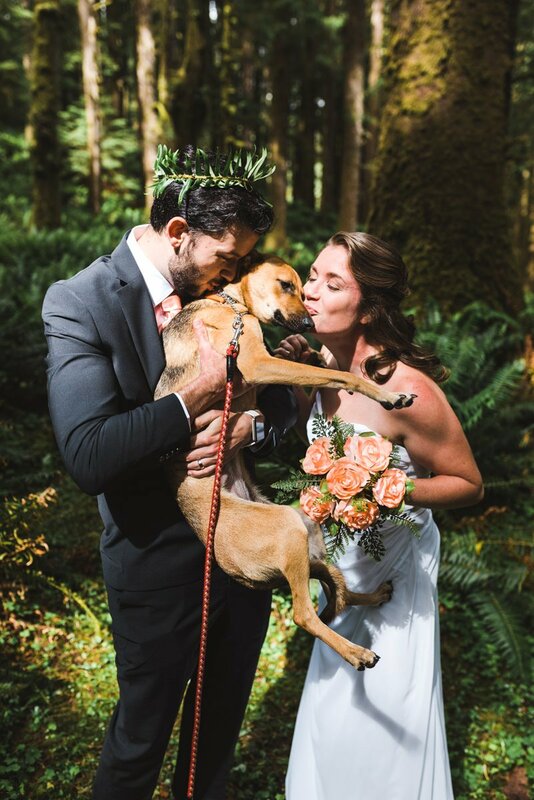 I must add I absolutely love when people include their dog in the wedding day. 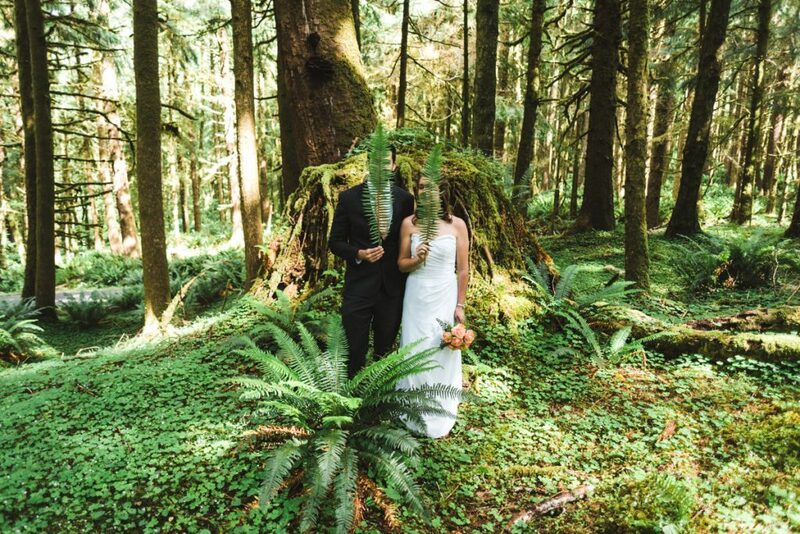 Basically just the perfect set up for a small wedding. 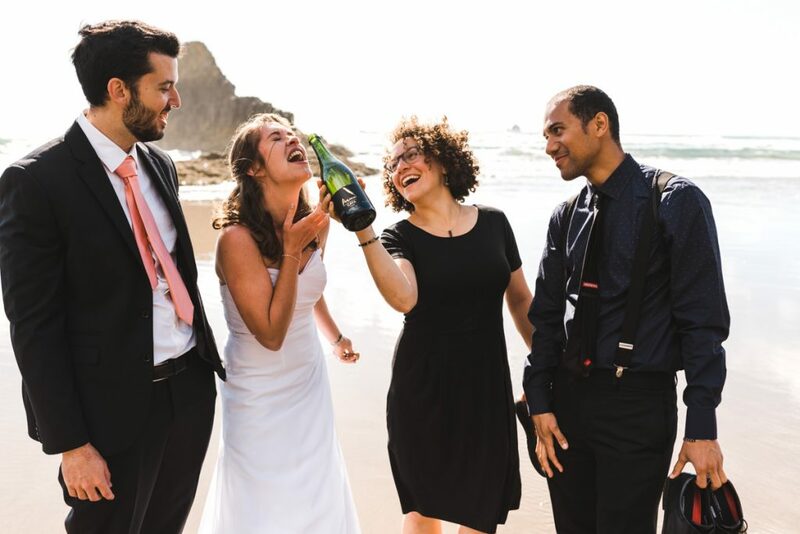 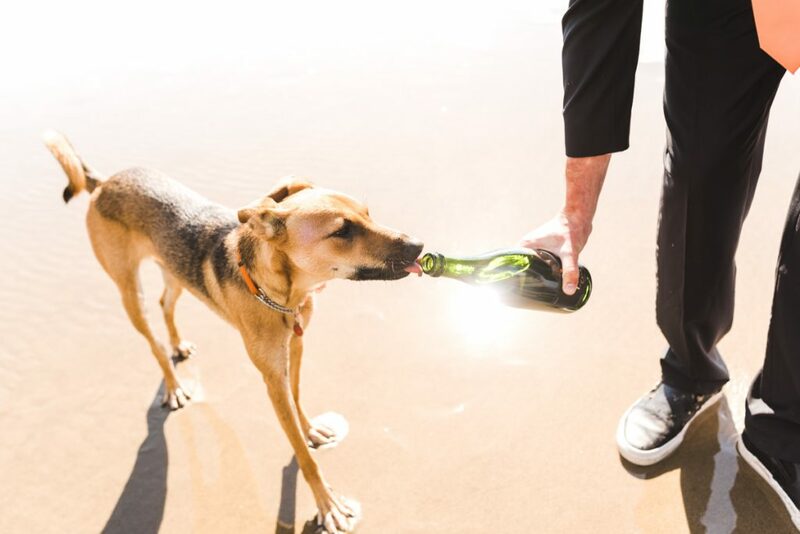 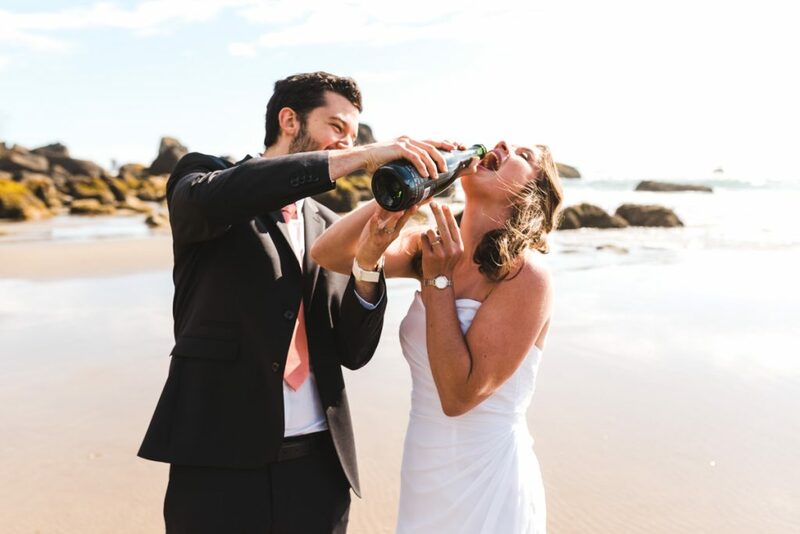 After the short and laughter filled ceremony we drove down to Indian beach for some champagne popping and to document some more good times at one of my favorite beaches(Point Break fanboy). 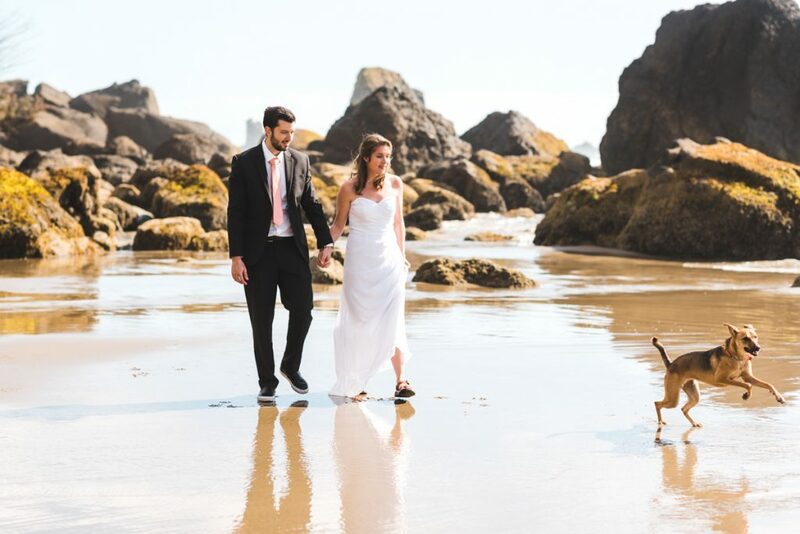 We let the dog run off some energy from being in the backseat of the car most of the day leading up do the ceremony. 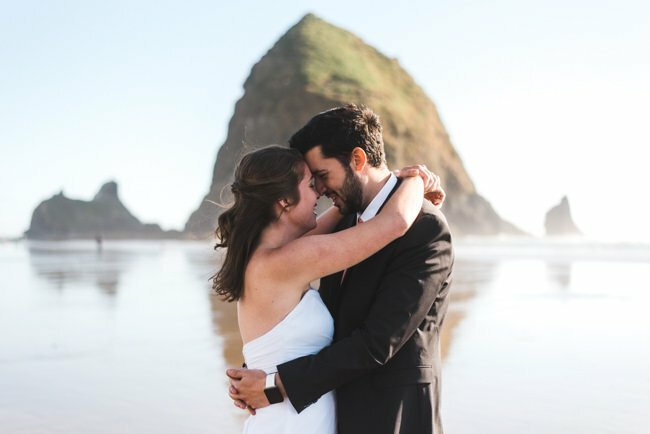 After the super casual portrait session at Indian Beach the whole crew drove down to Cannon Beach which is less than 10 minutes away to finish off the session with some late afternoon portraits in front of the iconic Haystack Rock. 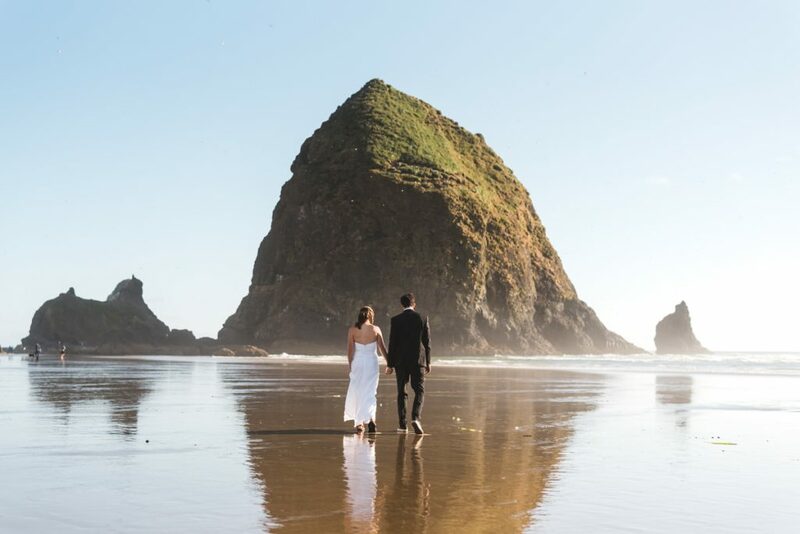 Haystack as I’m sure most of you know is one of the most iconic places in all of the Northwest. They conveniently book a cute little hotel right at the beach by Haystack Rock so it was a nice easy walk back to the hotel for dinner after we finished up our session. 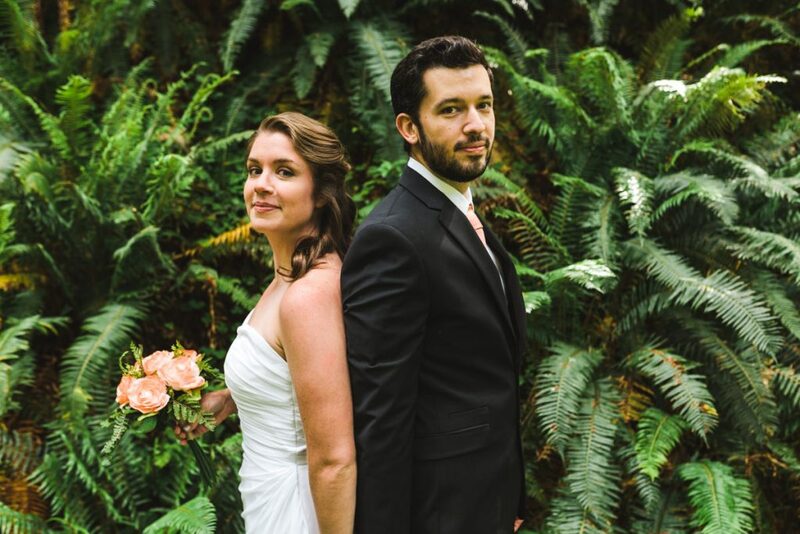 I had a blast with these two and absolutely loved the laid back approach they took to the wedding day. 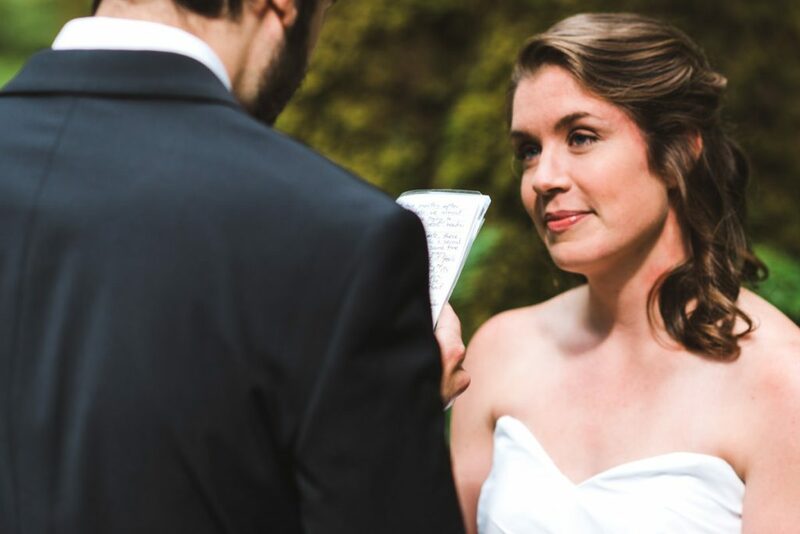 These elopements are always such a joy to shoot.